Picture from group : Red, blue, green and yellow. Summit from the NW. Picture: Red, blue, green and yellow. Summit from the NW. 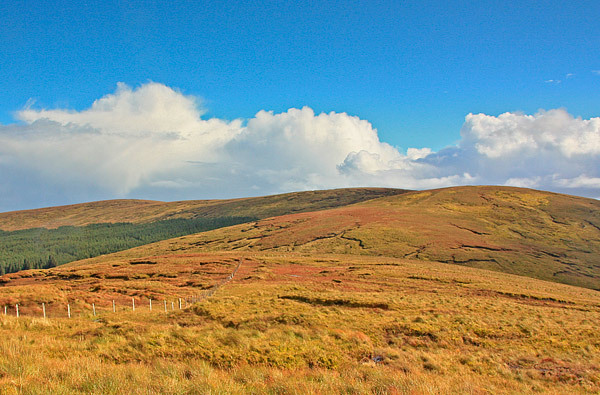 Part of the horse-shoe incorporating Mullaghaneany and Craighagh Hill, it is a most unassuming summit. However, The views from here are excellent, with an uninterrupted vista out east over Maghera, Magherafelt and beyond. Mostly reached as part of an walk up from the B40 road via Mullaghaneany or Craighagh Hill, it may also be reached from Mullaghsallagh or Crockbrack. The terrain is relatively good with the odd soggy patches. Along the western side is the most exquisite reedy mountain grass which radiates iridescent colours in sunshine and the wind shakes it.